There may be cases where the insurance is arranged by the overseas suppliers up to the destination port in which case the buyer may seek cover from that port to their warehouse. It should be ensured that proper inspection is carried out and the policy issued incorporating the observations of the inspecting agency. Marine transit coverage for anywhere in the world to anywhere in the world is also a very vague terms, which would unnecessarily put the Insurer in a tough situation especially when claims are reported under such policies. On going by the experience insurers should be cautious not to issue such ambiguous covers. It should be ensured to ascertain before hand the countries from / to where the dispatches are likely to be made and the same is incorporated in the policy at the time of issuance. It is also relevant to draw reference to Foreign Exchange Management (Insurance) Regu- lations, 2000 issued by the RBI under Para A-4 relating to premium on marine policies covering shipments between countries outside India. Para A-4(ii) reads as : “Sometimes, firms and companies in India finance merchanting trade i.e. goods shipped from one foreign country to another and financed by an intermediary in India. Insurers should not issue one common open policy for covering both FOB/C&F and CIF exports. The policy should clearly spell out the agreed basis of valuation and specify excess in clear terms whether it is applicable on entire sum insured or value of each dispatch or on claim amount. Similarly the separate policy for transit to FOB/C&F exports and another policy for covering seller’s contingency risks should be issued. Incorporation of ‘Declaration Clause’ in specific policy with lump-sum Sum Insured and to obtain Declaration if the policy is intended to cover number of dispatches by various conveyances, makes the terms of the policy clear. The period of validity of open policy should be mentioned on the face of the policy. If premium is shown on the face of the policy the War & SRCC/SRCC premium should be indicated separately. The sum insured must be shown in both Foreign Currency and Indian Rupees in respect of CIF Export Policies. 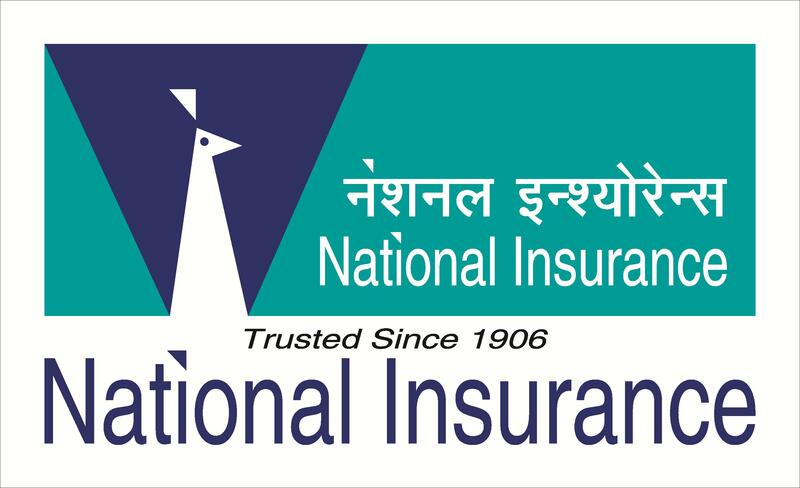 Insurers should take care in issuing policy in identical terms and wordings of cover note, if any issued already and resort to any change required by way of endorsement only. The premium rates in Marine Cargo largely depends on Method and Type of Packing, Mode of transit/Sea/Air/Road/Rail/Post/Transhipments, Full description of goods to be insured, sum insured, voyage, method of carrying, Type of Cover required, Claim Experience and Previous Insurance details or claim history. For transits less than 80 KMs, a discount of 50% on the premium rate may be allowed. Extra premium becomes payable if the goods are carried otherwise than by closed wagons or tarpaulin covered vehicles. The subject matter of insurance may be any property of intrinsic value, or any event the happening of which will cause the loss of a legal right or the creation of a legal liability. The subject matter is described in the policy but it should be remembered that insurance is operative in respect of the interest of the assured in the property concerned and it is this interest which is the subject matter of the insurance contract. 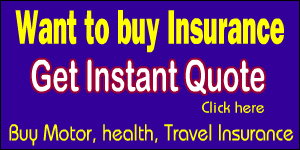 It is the pecuniary interest of the insured in the property exposed to peril that is insured. Therefore, while the subject matter of the insurance may be property or liability, the subject matter of the contract is the insurable interest therein. Marine policies are Agreed value policies. Basis of valuation is agreed in advance. These policies are freely assignable. Stamp Duty is Recoverable from the Insured. Aspect of Collateral Security and relation of the type of cover depends on the sale contract viz. CIF, C & F, FOB, FAS, FOR etc. The concept of General Average and salvage charges is applicable to this class of insurance. Marine cargo policies are international in character. Whereas in fire and accident insurance an insurable interest must exist both at inception of the contract and at the time of loss, the interest in respect of a marine contract must exist at the time of loss, though it may not have existed when the insurance was affected. Pursuance of recovery with carriers through Recovery Agents on “No Cure No Pay” basis. Effective enforcement of Recovery from carriers/customers/Port Trust/Bailees initiating immediate action. Obtaining Carriers’ Certificate of loss . Issuing Notice within Statutory Period. Finding out of suits if no amicable settlement is forthcoming from carriers within the limitation period. Arranging arrest of carrying vessels, through ‘Admiralty Court’ whenever necessary, to ensure recovery from carriers. Finding out the financial status of carrier. Engaging Lawyers of good standing and experience in marine recovery matters. Securing insured’s co-operation in connection with the proceedings. In the export claims, entrust recovery to Foreign settling Agents or company’s accredited recovery agents. Avoid filing of suits in foreign countries to the extent possible. Required proper maintenance of Recovery Register and Constant follow up. The marine risk is measured on case to case basis and appropriate remedial action be initiated. In order to minimize losses at the time of loading as well as discharging of cargo, it is recommended that supervision be undertaken. The underwriting office should analyze the extent of risk involved in the product covered and decide the rating. To prevent aggravation of loss/damage particularly in respect of water damage/rust damage. Early disposal of the damaged cargo is called for in compliance with the guidelines for salvage disposal. Identification of salvage for each claim with proper tags. Use of reputed auctioneers for disposal of items of different types collected under various claims. To avoid loss of material by theft and misappropriation. Advertisement in News Papers, Printed handouts, letter to regular salvage buyers with clear details of the material available for disposal and the terms of tender. Comparisons of surveyor’s assessment of the salvage with the prices offered to ensure a fair realization. Allocation of realized salvage value to the respective claims. A marine cargo policy is issued only after obtaining full details of cargo, transit etc. in writing. It should be ensured that the policy is issued in accordance with the specific requirement of the client. Policy should attach clauses and incorporate conditions/warranties in conformity with the scope of cover. The alterations/corrections in the policy are made only by way of endorsements, specifically incorporating the need for such endorsements and other collecting requisite premium, whatever applicable. The review of each open policy/open cover to corporate/block accounts well before the date of renewal assists in renewal of policy after ascertaining again the insured’s requirement and ensuring that the cover is as per their need/changed activity, if any. Recovery Register, Voyage Register, Open Policy Register & Claims Experience Register helps in recording client wise premium, incurred claims, recovery affected, follow of period declarations and adjustment of advance premium, ascertaining voyage wise commitments in respect of ocean transit coverage and effective follow-up of recovery. For increasing the premium in marine cargo portfolio the periodical review of existing account and upward revision in rate where necessary helps in improvement in customer service. Scouting for new business by establishing contacts with industrial houses, chamber of commerce and Export Promotion Councils is very useful with effective follow-up. Review of the needs of major client’s vis-Ã -vis existing open policy to them at least at the time of renewal, identify uncovered areas and offer fresh/additional coverage. The prompt and proper issue of policy documents and disposal of claims without delay ensures increase in marine cargo portfolio. The insured loss of marine cargo insurance needs to be controlled by effective follow-up of recovery with carriers, tracing of cargo by Steamer/Rail, Supervision of discharge of cargo, pre-insurance surveyor supervision of loading of cargo at client’s cost, imposition of excess or restriction of cover, investigation into doubtful claims and/or of recurring nature, proper review of the provisions for outstanding claims and marine cargo accounts for remedial action including upward revision in rates where necessary. Grouping pending claims relating to major clients, preparation of separate statement for each of them, contacting them in persons on prior appointment and getting directly the required information/documents helps in expediting disposal of claims, if any are pending for want of processing and decision. Overseas trade is conducted through a system of credit. The role of insurance in relation to banking is significant in internal and international trade which is financed by banks on the security provided by Marine Insurance. The importer of goods opens a letter of credit on a bank authorizing the exporter to draw on the importer a bill of exchange against the value of the shipment of goods. A letter of credit is a letter issued by a bank in the importing country in favors of the shipper containing an undertaking that the bills of exchange drawn by him upon the importer up to the amount specified therein will be honoured by it on presentation. Normally a bank will allow the opening of a letter of credit on the strength of an insurance cover note, because the goods may be shipped anytime after the letter of credit is opened and require to be protected against transit risks. It is in this manner that insurance acts as a collateral security. The insurance policy / cover note forms an integral part of the shipping documents. A banker will always see, whether the goods insured are being relied upon as security, that the amount of the insurance policy covers the valuation evidenced by the invoice, the policy has been endorsed in blank or in favor of the bank, and the documents is correctly stamped and issued by insurers of repute. Thereupon, the bank will be prepared to discount the bill, i.e. pay the exporter immediately holding the Marine cover of the goods involved in the transaction as collateral security. Marine insurance, therefore, forms an integral part of overseas trade, and is regarded as the handmaid of commerce. Marine cargo insurance plays an important role in domestic trade as well as in international trade. Most contracts of sale require that the goods must be covered, either by the seller or the buyer, against loss or damage. Cargo insurance provides insurance cover in respect of loss of a damage to goods during transit by rail, road, sea or air. Thus cargo insurance concerns the export and import shipments by ocean going vessels of all types, coastal shipments by steamers, sailing vessels, mechanized boats, etc., shipments by inland vessels or country craft, and consignments by rail, road or air and articles sent by post. A contract of sale involves mainly a seller and a buyer, apart from other associated parties like carriers, banks, clearing agents, etc. The question as to who is responsible for effecting insurance on the goods, which are the subject for sale, depends on the terms of the sale contract. For export/import policies, the Institute Cargo Clauses are used. 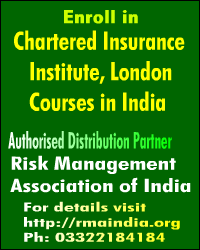 These clauses are drafted by the Institute of London underwriters are used by insurance companies in a majority of countries including India. For inland transit the clauses drafted by the Tariff Advisory Committee are used. The last major deregulation was done in 1994 when the marine insurance tariff was dismantled. That was done when there were no private players in the market and the stiff competition was only among the four public sector general insurance companies leading to price wars and underwriting losses in the marine portfolio. That time even the IRDA was not in existence to vet insurance products. Now there is high competition in the marine cargo segment also. In marine cargo section the loss ratio before de-tariffing was stable but there was sudden spurt in loss ratio immediately after removal of tariff. The loss ratio improved after two years suggesting that some prudence was restored.